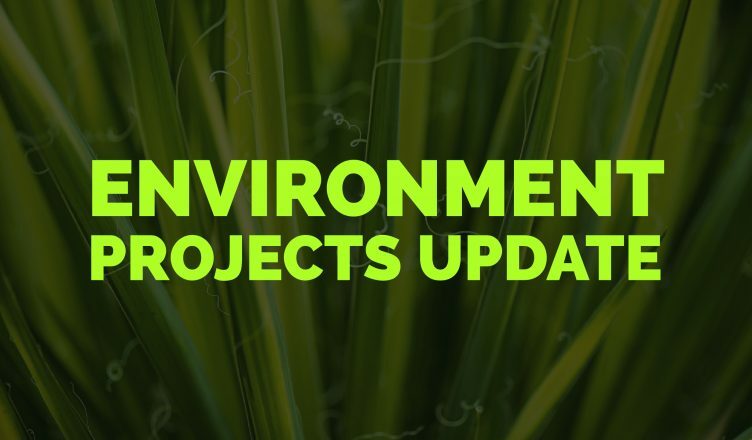 The wet and inclement weather has impacted on the progress of our outdoor projects and programs over the last few months, however as we move into spring, we are endeavouring to advance with these. Most of these projects have involved countless hours of unpaid volunteer time and community support. We thank everyone who has been involved in supporting these projects and programs. 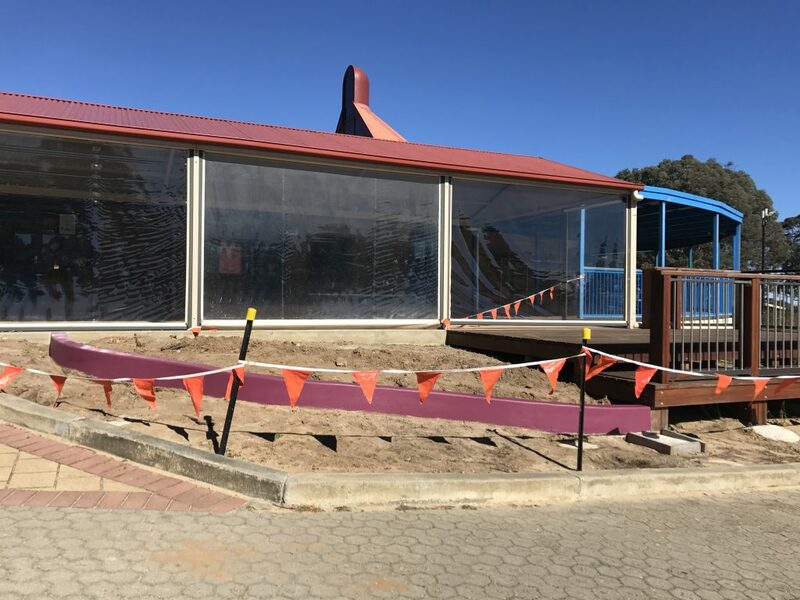 We are coming closer to the completion of the next stage of this revitalisation project which has involved the design of a multi-purpose deck and play space overlooking the picturesque view of the school oval. The delivery of this project has been based on available funding and the opportunity of donated time and resources from within our community. Over the weekend, parents on our school’s environment team were busy painting the concrete edging / border. 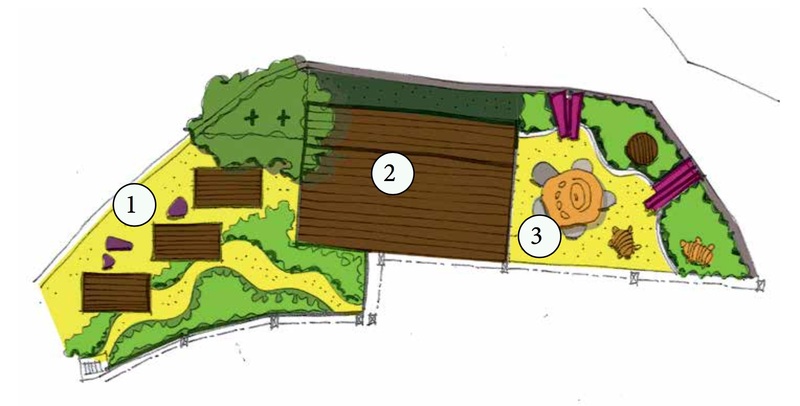 With the ground starting to warm up, there will be a range of plantings taking place soon along with the installation of mini footbridges providing access through the area. Great to see nominated classes and the Friday Garden Club undertaking their plantings and caring for their garden beds etc. 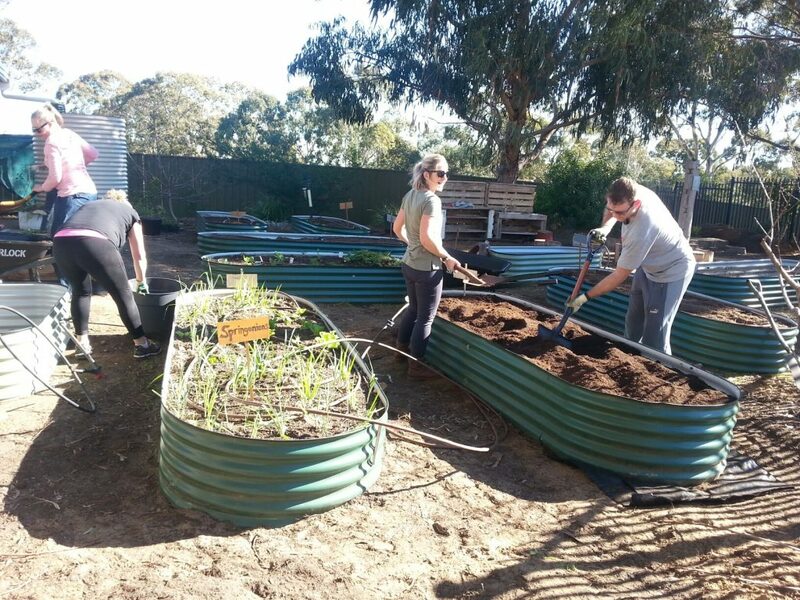 We look forward to seeing how this will all look in Term 4 when the veggies can be harvested. We are also in the final stages of creating a Bush Ticker garden thanks to a local government grant. Many thanks to all those involved in these programs. The construction of a retaining wall in the form of concrete snake has been built offsite. With some finer spring weather, this extra piece is due to be installed along with an updates irrigation and plantings. This is in the hands of our DECD Facilities Manager and Asset Services. The latest information we have received is that the contractors will be looking to recommence work in the next fortnight. The set back has been due to a redesign of the pathways from the top gate area. As part of this project we are endeavouring to have our bin facilities improved.